I wonder why it is that, however carefully you pack away the Christmas lights each year, you end up wrestling with a tangled mass of wires before draping them over the tree to discover that they’ve decided not to work. 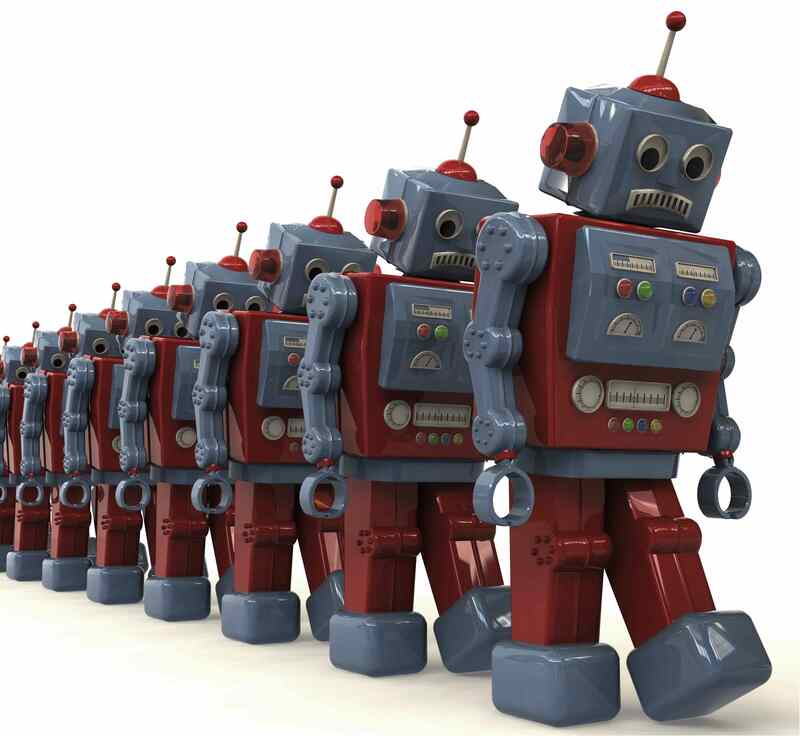 They worked fine during the plug-in test in their jumbled state. This is one of life’s many little irritations and reasonably resolvable after checking the efficacy of each individual bulb but it is a seasonal time-waster. I managed to avoid one of the stressful Christmas traditions this year – that of actually going out and buying the tree in the first place. For once, last year’s tree has been flourishing, potted up in the back garden, requiring very little maintenance other than the occasional watering. 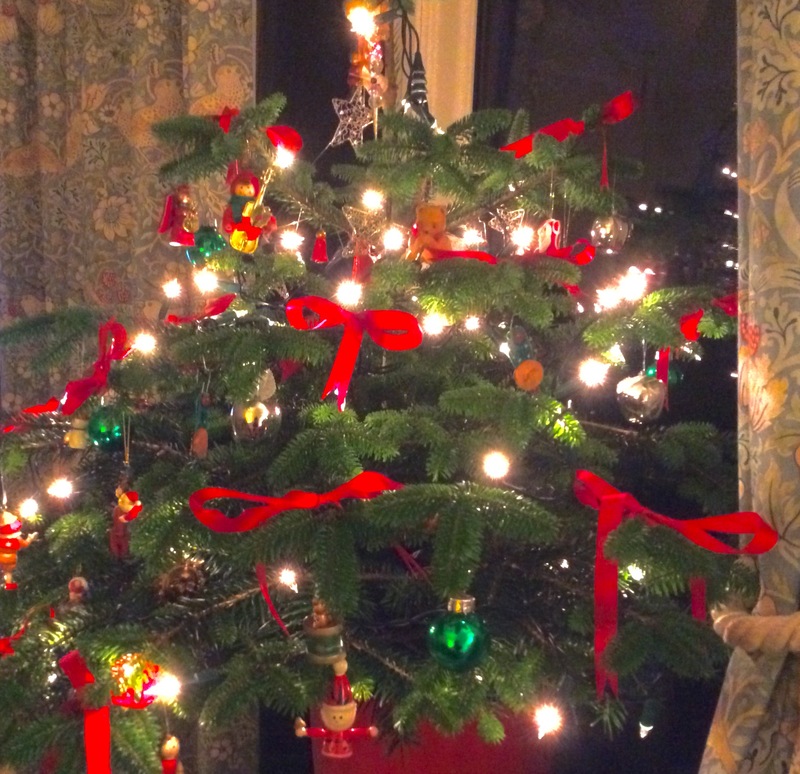 Because I have to have a real tree – and I’m very determined about this – nothing will incite me to unfold a fake tree from my attic – the task of selection and carriage falls to me. Many a year I have suffered scratches to face and arms as I force the shapeliest spruce I can find into my modest hatch-back. So with the tree decorated, all presents wrapped and cards written, unusually I had time on my hands so, as you do, I hemmed a pair of curtains. Now, this might not sound like much but let me tell you, my sewing box and I are distant acquaintances. It sees the light of day occasionally if a button goes astray but coming out as part of some sort of enjoyable leisure activity is, frankly, risible. I put this down to the trauma I suffered as a child in my first year at secondary school at the hands of our sewing mistress, Mrs Gorrill. She was a sour-faced little woman, always dressed in black (I think it may have been taffeta – whatever it was, it rustled) and she would rap us over our knuckles with her pinking shears if the stitching on our gingham cookery aprons wasn’t neat enough. My knuckles that term were red raw and I spent much of the time in that sewing room unpicking my sub-standard effort gazing across to the adjacent hut where the boys were doing technical drawing, wondering why girls were excluded from learning about perspective. We were relegated to ‘domestic science’ which I reckon was only a generation away from ‘housewifery.’ I wasn’t much better in the cookery room, either. I remember my Swiss roll unravelling and ending up on the floor and being told off for pointing a saucepan handle over a hot ring when, in my defence, I’d been taught at home to angle handles away from the edge so that smaller siblings wouldn’t reach up and tip molten liquid over themselves. I think the teacher burned her hand on that handle as she was reprimanding me…hadn’t she heard of oven gloves? These days cookery is called ‘Food Technology’ and anyone is allowed to take it as a subject, although its current status has gone the way of many of the more useful subjects on the national curriculum and has been savagely down-graded in favour of the academic subjects. While students are still required to make (in my opinion) unnecessary culinary items – fresh pasta, for instance, whoever is going to make their own pasta in halls of residence? – for some pupils, creating dishes in the kitchen is what they excel at and should be given as much kudos as an A star in English or Maths. But what am I thinking? This wasn’t meant to turn into an education based rant. I simply wanted to wish everyone a very Merry Christmas and a Happy New Year. Have fun, enjoy yourselves – and cheers to another blogging year! As the creaking educational locomotive grinds ever more slowly towards the buffers of the long summer break and we can leap onto the platform of unexpurgated freedom I can thank my lucky stars that last week is finally over. As is now tradition and to conceal the fact that our national curriculum is so thin on content that in truth the teaching of it finishes several weeks before the official end of term, we are obliged to suffer the agonies of Activities Week. A misnomer if ever there was one, judging by the ‘activities’ to which I was assigned. My Activity Week was mostly sedentary and largely involved elephants. I understand the ethos – to allow students to experience things they otherwise wouldn’t due either to financial restraints, unimaginative parenting or sheer youthful malaise – a condition which sadly is becoming increasingly contagious. I understand all of that – but to have to sit in school uniform in one classroom all day playing board (bored) games is reminiscent of an interminable wet weekend at your grandparents’. 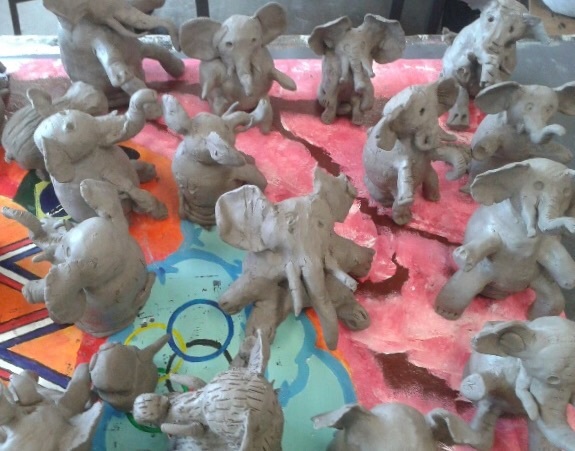 This was the fate of our unfortunate year seven’s who, lucky for them (but not me), then had a day off site to visit the Globe Theatre before returning to spend the next day welded to a stool in the art room following step by step instructions to make a clay elephant. All day: with a short break for lunch. By the afternoon, with the searing heat outside and the stuffiness of the classroom I felt my eyes drooping and had to make a conscious effort to stay awake. I sympathised with one of our older students who incurred a detention recently for falling sound asleep in a history lesson. I now know how he felt. The following day we were treated to Africa Day – the possibilities of this sounded promising. But again, the students sat for what seemed like hours in a large circle in our acoustically challenged canteen while a lovely man from Ghana, dressed in traditional costume spent the day with the students telling stories of his African village and showing them how to make toys from recycled rubbish. 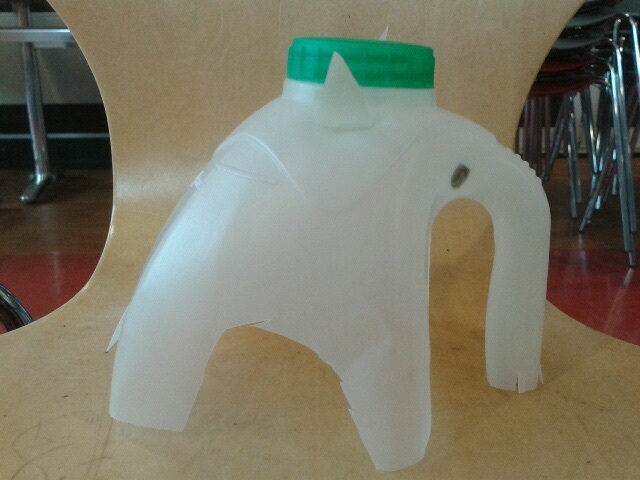 Another forty elephants were made from old plastic milk cartons after which there was a spot of potato printing. A quick break for food and drink and it was back to sitting while they practised the art of African drumming. In the aforementioned echo-y dining room. There were enough drums for each child so you are lucky you only have to imagine the cacophony. I had to sit through it. I don’t mean to carp on, but I would’ve preferred spending the day at a nearby fishing lake with a collection of year nine yobbos who turn into the politest, nicest shoal of lads you could ever wish to meet – once they are attached to a rod with a box of maggots at their side. I did this trip several years ago now and was as heartened at the students transformation as I was astonished at how adept I became at picking up a maggot or helping disgorge the unfortunate little fishes for those more squeamish. I have obvious skills in this area – why have they been overlooked? The main reason this activity is so popular and why staff members trample each other to take part is fact that the bacon rolls at the shop there are to die for and the opportunity to hear the trip leader tell one of his new ‘fishermen’ to go to the counter and ask for a tin of tartan maggots is legendary. I obviously need to improve my pitch for next year. So, with only two days left of term time to fill with word searches and videos while the teachers complete their admin, the terminus approaches – the exit gate is in sight. This post forms the first part of a challenge thrown down by Sherri, over at her Summerhouse. I normally avoid things like this like the proverbial plague but as she is such a regular visitor to my imaginary kitchen and we have shared so many odd and weird coincidences I felt it only fair to have a go. As Sherri herself has already changed the rules of the challenge which originally was to post five pictures and five stories on consecutive days (ha! not a chance! ), I shall be taking a more relaxed attitude towards the rules myself. I’m supposed to nominate someone to take up the challenge after each of my next five posts but I’m not going to do that. Suffice to say, if you feel the urge to challenge yourself to five pictures/five stories (fact or fiction) then please feel free. I thought it would be a good discipline to make me write more regularly. Goodness knows, I’ve been pretty lax of late. For me the most enjoyable modules we deliver on the English curriculum are the poetry ones because they’re a good way for students to play around with language and begin understanding inference not to mention the techniques they will need to espouse for their exams. Of the poets chosen by whoever it is that decides what and who we should be teaching, Wilfred Owen (who would have been a punk poet had he lived in the late 1970’s – imagine ‘Dulce et Decorum Est’ spat out by Johnny Rotten – it works!) and Simon Armitage, a contemporary British writer, are my absolute favourites. I’ve been fortunate enough to see the latter in performance. If he turns up at a venue near you, crawl over broken glass to get a ticket – it’ll be worth it. Here’s an example of his work, an extract from a longer poem which I’ve posted to commemorate today’s sadly memorable, eponymous date. When this was first released in its entirety in 2005, Armitage was criticised by some – unfairly, in my opinion. See what you think. You have picked me out. that a white cotton shirt is twirling, turning. In fact I am waving, waving. Small in the clouds, but waving, waving. So when will you come? I am trying and trying. but the white of surrender is not yet flying. I am not at the point of leaving, diving. should be wind-milling, wheeling, spiralling, falling. Sirens below are wailing, firing. My arm is numb and my nerves are sagging. Do you see me, my love. I am failing, flagging. Click here if you’d like to watch a short clip of Simon Armitage reading his poem. Earlier this week I was sorting out a pile of papers and files in the room we ambitiously call our office. It is the smallest bedroom and contains a bookcase and a desk, where we all dump stuff which gets forgotten about until one of us (me) has a tidy up and throws most of it away. I found the following poem, amongst a lot of school-related detritus, which I remember scribbling down a couple of years ago during a never-ending invigilation session. The inspiration came from something my son once said to me when he was at school, about feeling like a battery chicken. Having spent last term with our students doing wall to wall assessments, and who are now preparing for next term and wall to wall exams, I think this posting is probably timely. Especially in light of the recent vote of no confidence awarded to our Minister for Education. Not have the state clip his wings. …While the battery chicks sit their tests. They refuse to follow the pack. Not sitting exams all the time. With this processing for bureaucracy. Keeps the education dept open, I fear. Not only for students – the schools! But are they learning for life? A 25% chance of success. Oh, let our children be free range! Not churned out to be all the same. This is unbelievable. The humble flapjack is now a health and safety issue according to a school in Essex. One of their students was hit in the eye with a triangular-shaped flapjack during a food fight so now the canteen has been instructed to serve only rectangular ones. This raises a couple of interesting points. Well, four, to be exact, on a rectangular flapjack, which must be potentially more dangerous than the three-cornered version. Surely a circular biscuit would be safer. They really haven’t thought this through. The fact that no mention has been made of pupil behaviour leads one to believe that the food fight was a routine occurrence. Is this a revolutionary idea to promote social interaction? 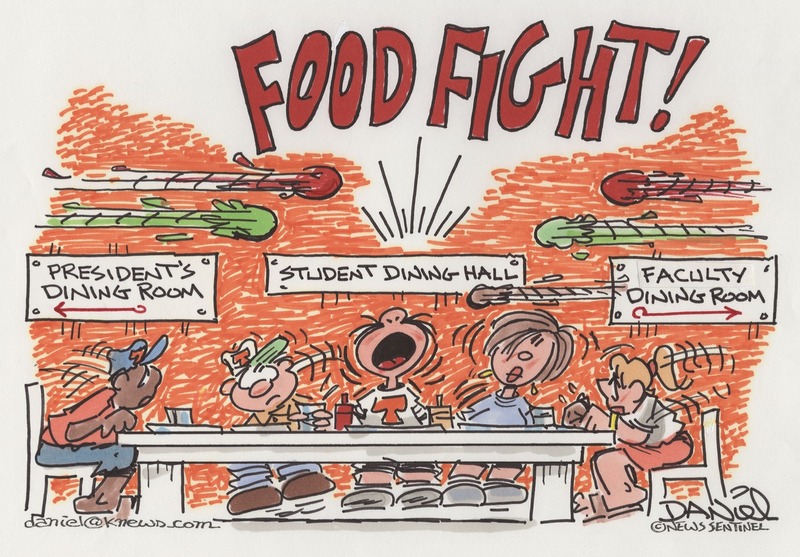 Perhaps I have been missed off an email somewhere that informs us that food fighting has been added to the Health and Social Curriculum. If this is the case, then dinner ladies everywhere should be downing their ladles and taking strike action. (Not with flapjacks, obviously). The formidable witches who oversaw lunchtime when I was at school strutted their stuff like camp commandants between the rows of tables, ensuring we ate up our gristly mince and not-quite-boiled potatoes in complete silence. We were only allowed outside once our pudding bowls were clear of stodge and custard but at least we were trusted with metal cutlery and heavy-duty china tableware. I guess they’ve been deemed dangerous somewhere along the line as food is now served either on paper plates or plastic trays with disposable cutlery. Imagine this happening in France. A nation where food is the most important part of daily life; where table manners are taught as soon as an infant is able to sit up and where school children have napkins laid on their tables and know how to use them. Meanwhile, here in UK, (or should that be YUK), we unnecessarily treat the symptom without considering the cause. Phones – an unnecessary evil or an evil essential? I have a mobile phone, obviously. I hate the damn thing. I use it rarely, even though last year, I fell victim to fashion and technology and exchanged my old-fashioned, easy to use brick for a streamlined smart version. Smart? Only as smart as the user who, in this case, remains stubbornly Luddite. The child who served me in the Mobile Phone Store was very helpful and reeled off a complicated spiel as to the merits of one phone over another; explained the ins and outs of having a contract over pay as you go, then asked me how many text messages I send in a month. On average. Give or take. When I replied probably less than twenty, his expression was one of pity followed by a glazing over of the eyes as it dawned on him that the lack of commission made from this particular sale was hardly worth the bother. I left the store with my new phone, on the cheapest tariff available which didn’t include a user’s manual but gives me 100 minutes of call time, 500 free texts a month and 250 MB of mobile internet. The efficacy of this new bit of kit is questionable. Apparently I can download as many apps as I like – whatever they may be – the cost of which goes straight through and inflates the account I was forced to set up, but I can’t get through to people I want to speak to on account of poor network coverage. I concede that texting is useful and I do use the facility, usually in reply to someone else or to confirm an arrangement, but as far as chatting goes, I prefer to do that F2F. (text-speak for face to face, FYI). While the Sofa Loafer holidayed in America it was good to know that he’d reached his destination safely. Or it would have been had he been able to get a signal in El Paso. I received a one word text – ‘here’ – when he landed at JFK in New York and then nothing for six days. For all I knew he had been kidnapped and bundled across the border to Juarez, which, as he was so fond of reminding me before his trip, is supposed to be one of the most dangerous cities in the world. As no ransom request was forthcoming during the next few days, I assumed that he’d met up with his friend. 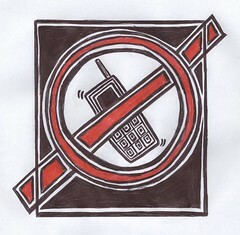 I have two theories; the first is that mobile phones are contributing to growing anxiety prevalent in today’s society. The fact that Sofa Loafer had his phone and I expected him to keep in touch just served to make me more nervous when I didn’t hear. Later during his trip, after I had received a few brief but reassuring messages, I received a text in the middle of the night to tell me he was stranded at Atlanta railway station, the tone of which, I felt, implied that I was somehow culpable. Great! Four thousand miles away, all I could do was offer sympathy and advise patience. He discovered that American trains are even less reliable than British ones, and that having a decent book while travelling is essential. When my husband and I travelled around India in our early twenties, would it have been any comfort to my mother to know that I’d contracted Delhi-belly on the first day and that our hotel was full of cockroaches? My second theory is that far from making our children more independent, having a mobile phone clamped about their person at all times actually makes them more reliant on someone at the other end of the phone telling them what to do. Whatever happened to initiative? Oh, sorry, not on the National Curriculum. Interestingly, Multi-Modal Language is. I’ll be picking this fascinating topic to bits in a future post. BFN. This week I successfully managed to alienate a whole classroom of fifteen year olds while provoking, at the same time, a sensational reaction. Part of their controlled assessment for GCSE English is to write two creative pieces: their task this week was to nominate something they’d like to see banished in the 21st century and present a reasoned rant to back up their choice. As I often do, to help get them started, I joined in and wrote down my list of possibilities. Naturally the National Curriculum was high up there but when asked, I announced that my item of banishment would be Harry Potter. As the tumbleweed gathered apace on the playing field outside, a collective gasp went up in the room and thirty pairs of eyes swiveled around and glared at me with cold accusation. Uproar quickly followed. They couldn’t have been more shocked had I said I’d bare-handedly strangled the neighbour’s cat. (Who is also on my list – well, something has to be done about the malevolent little mogg-ster – any reasonable ideas of ridding my garden of this pernicious paw-padding pooper will be gratefully received). But I stand by my choice. I have nothing against J K Rowling – good luck to her with all her millions– she invented her characters and extended plot-line, saw a niche in the market; got stuck in, found a fantastic publicist and the rest, as they say, is history. What I object to is the furore that surrounds the series and the height of the pedestal on which it has been placed. In my opinion, it is not particularly well written; it is boringly repetitive and actually, isn’t even original. What’s it about, really? Children at boarding school. So was Tom Brown’s School Days by Thomas Hughes; Enid Blyton wrote two separate series – Malory Towers and St Clare’s; Elinor M. Brent-Dyer wrote sixty story books about the Chalet School. The protagonists are always good, sometimes led astray by more interesting friends; there is always a bully; there are always eccentric members of staff. Sounds familiar, doesn’t it? So then, to make it more out of the ordinary, JKR factors in wizardry and witchcraft – what a coup – no-one has done that before. If I was Jill Murphy, author of The Worst Witch series, I might have something to say about that. Creator of six books published between 1974 -1980, plus a TV spin-off, Murphy enjoyed brief success with her character Mildred Hubble studying at Miss Cackle’s Academy for Witches. Hmm…I rest my case on that one. So, back to Harry Potter. Translated into sixty-seven languages and with more than 450 million copies sold, that makes it the best-selling book series in history. Impressive statistics, granted. I am in a tiny minority, obviously, but I take heart that the series is not without criticism from people with some clout in the literary world. AS Byatt said that (The Harry Potter Saga) was “written for people whose imaginative lives are confined to TV cartoons, and the exaggerated (more exciting, not threatening) mirror-worlds of soaps, reality TV and celebrity gossip”, while Anthony Holden, in The Observer mentions “pedestrian, ungrammatical prose style”. Stephen King, although predicting that Harry Potter “will indeed stand time’s test and wind up on a shelf where only the best are kept” also declared that he was “a little tired of discovering Harry at home with his horrible aunt and uncle”, the repetitious beginning to all seven books. People will argue that the Harry Potter books have got their children reading. Well, of course that’s a good thing. Anything that gets a child’s interest should be lauded but it ought only to be used as a springboard to more challenging literature. I don’t want to hear that little Johnny has read the Potter series over and over again, knows all the films backwards and has reached every conceivable level on his wretched Potter computer game. By all means let little Johnny read about Harry – and then move him on. Leave Harry on the shelf for the under twelve’s; don’t dress up the covers for adults to read on the train – that’s like covering Fifty Shades of Grey in a Jacqueline Wilson dust jacket and passing it to your thirteen year old daughter for perusal. So what is it that really irks me? The thought that a generation of children (and their parents), have been manipulated by media frenzy into buying into what is, after all, a mediocre product. Would I, on reflection, ban Harry completely? Probably not – keep the books in their place on the lower shelves but get rid of the merchandise, the themed world, the computer related items and the razzamatazz that goes with it all. There is however, no such thing as bad publicity. Seems I’ve just hoisted my own petard.